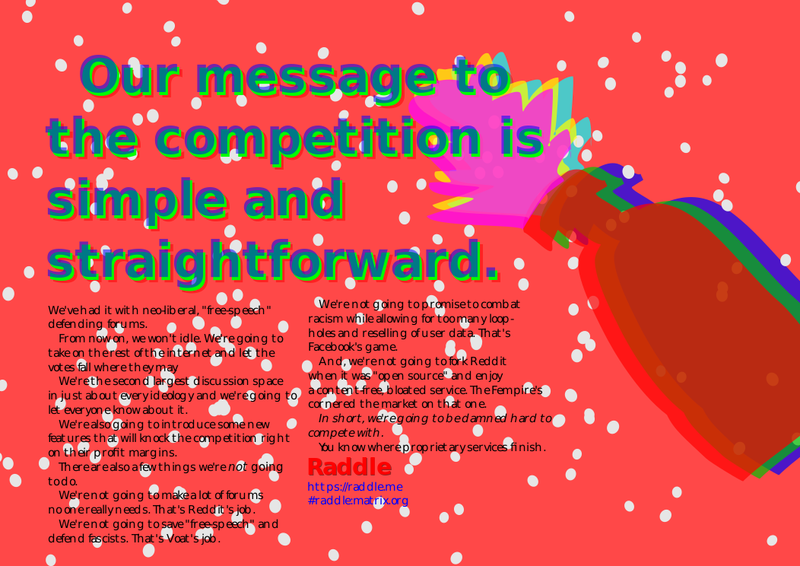 Some things you can do if you like raddle! [PROPOSAL] Your thoughts on a weekly Sidebar Challenge? Has anyone plugged us on RevLeft yet? If not, does somebody want to? Userbase Growth Challenge #1! How are we seen and what does that mean?